Raypak is a leading manufacturer of copper-finned boilers and heaters, currently based in Oxnard. Under the supervision of Russ Zabel, I learned to design hydronic heating systems for concrete pad applications under carwashes, driveways and airport runways. I got pretty good at that, producing up to three blueprints a day. 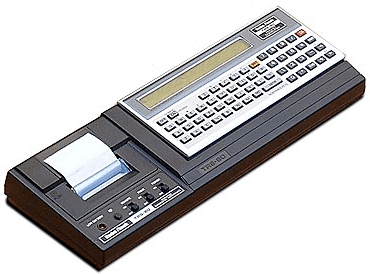 I was learning to program at home, so I later wrote an application in BASIC that calculated and printed a Bill of Materials for each job using a Radio Shack TRS-80 PC-1 Pocket Computer. I also occasionally produced engineering diagrams and technical illustrations as a draftsman. I met a technical illustrator here named Terry Doyle. We would become good friends and hang out often. Terry has stayed with Raypak for over 35 years as their Marketing Manager, which is amazing in this day and age.